North Carolina Administrative Office of the Courts Executive Director Marion Warren will follow state Supreme Court Chief Justice Mark Martin later this month to Regent University School of Law, a Christian school in Virginia Beach, Va. It was announced today that Warren will become the school’s senior associate dean. It was announced a couple weeks ago that Martin will become dean of the school. Both are resigning their current positions effective Feb. 28. Warren has been involved in the North Carolina judiciary for 26 years. His and Martin’s announcements that they would be resigning to work at the same school were unexpected. Warren fostered collaboration that resulted in legislation raising the age of juvenile jurisdiction in North Carolina from 16 to 18. He led a comprehensive reorganization of the AOC designed to improve the efficiency and effectiveness of its support to judicial officials and courthouses throughout the state. He has labored to improve dialogue within the judicial branch and dialogue between the judicial branch to the legislative and executive branches of state government. He provided vision, insight, and direction to bring about transformative change and modernization to the technology that supports North Carolina’s unified court system and the people served by the courts. 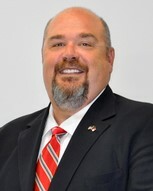 Prior to his appointment, Warren served as a district court judge in Bladen, Brunswick and Columbus counties since 2000. Before becoming a judge, he was an assistant district attorney for the 13th Prosecutorial District from 1993 tp 2000 and an attorney in private practice from 1991 to 93. In the most recent 9th congressional district debacle, where the State Board of Elections is investigating irregularities in mail-in absentee ballots, Mark Harris said Warren introduced him to the man at the center of alleged fraud, Leslie McCrae Dowless. Harris was the apparent Republican winner of the midterm race, but the election has not yet been certified pending an ongoing investigation. The next AOC Executive Director will be appointed by the next Supreme Court Chief Justice. Gov. Roy Cooper has yet to name who he will appoint as the next Chief Justice, but he could change the high court to a 6-1 Democratic majority with his pick.